← Notable Women List Triples! I admire Marie Curie as a great scientist and inventor but I get tired of hearing about her. Several times in meetings where attendees were asked to name great women in STEM, Marie Curie was the only one anyone could think of. Marie Curie is extremely impressive: the first woman to win a Nobel Prize, the only woman to win in two fields, and the only person to win in multiple sciences. 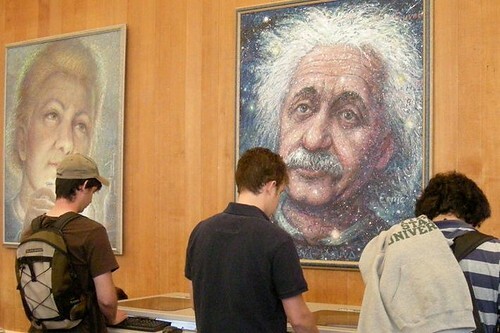 On a wall at Cal Poly, the portrait of Marie Curie is next to that of Albert Einstein. But she did die almost eighty years ago and there have been many great women in science, math, and technology before and since. …or even the name of a still-living woman. But please not just Marie Curie.